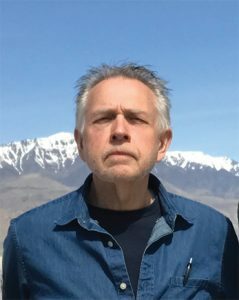 A native of rural eastern Oregon, Mic Johnson was introduced to both art and architecture at age 16, when he took a part-time job at a small architectural firm and began art classes at a local community college; together, these two moves broadened his thinking and showed him possibilities for a future outside his hometown. While he ultimately enrolled at the University of Oregon’s School of Architecture and pursued a career as an architect, making art has remained a primary part of his creative process from the outset. In 1985, Mic was recruited to join Ellerbe Becket’s Minneapolis office, thus beginning a relationship that lasted for nearly 30 years. As design principal, Mic led design teams for large and complex projects globally and locally, including the multi-block urban redevelopment of Minneapolis’ South Nicollet Mall on behalf of Target Corporation, the expansion and renewal of Children’s Hospitals and Clinics of Minnesota, District Energy St Paul, and at the University, the renovation of the Coffman Memorial Union and the Washington Avenue Pedestrian Bridges that connect Coffman to Northrop Mall. Internationally his work has included Yonsei University Medical Center and Samsung Cancer Center in Seoul, South Korea, University Hospital in Dubai, UAE and King Khalid Medical Center in Dammam, Saudi Arabia. Significant national work includes Mercy Health – West Hospital, The Jewish Hospital, Rookwood Medical Center, and Mercy Anderson Hospital, all for Mercy Health, Cincinnati. This body of work contributed to his recognition as a Fellow (in design) of the American Institute of Architects. In early 2013, Mic established Architecture Field Office, a unique and diverse consultancy that merges his interests and talents: specialized architectural design, transformative urban planning and placemaking, and artistic pursuits—including drawing, painting and sculpture. He currently devotes all or part of nearly every day to making art.